For so long we have said that winter is coming but now it’s definitely here! Over the last couple of weeks, the minimum temperature in Malta has dropped by almost 10 degrees Celsius. You might be cold now but don’t forget that January and February are around the corner, and things are going to get even chillier. The colder months bring a lot of joy to people’s lives, through holidays like: Christmas, New Year and Valentine’s Day. On the other hand, they also bring lots of rain and chilly temperatures. Colder temperatures mean miserable people and higher home bills! In Malta, unlike in many other European countries, there’s no such thing as central heating. This is because there’s no mains supply of gas. Instead of having a gas boiler and a gas-powered central heating system, most people use electric ACs, electric boilers and electric heaters. Some also use portable gas heaters (with bottled gas), although these are decreasing in popularity due to the fact that they can be bothersome and even dangerous. With this in mind, it’s no wonder that our bills tend to go sky high during winter. In the summer, you might see a small rise in your electricity bill when you use your AC but, in winter, it goes up much more. Here’s why! In winter, you’re usually home during the coldest parts of the day (evening, overnight and morning) and that’s when you’ll want your home to be all toasty and warm! That’s one reason why bills go up so much at this time of year. What’s more, there’s less daylight in the winter. Days are shorter and nights are longer, and you’ll spend a lot more time at home with the lights on than you do in the summer. In addition, you tend to take hot showers and perhaps run a hot bath every now and then, making your boiler work a lot more, too! There’s no point in spending extra money on heating your home if the warm air can’t circulate around your home. For this reason, it’s a good idea to clean any vents you have in your home. This will ensure the warm air can circulate and heat up your home more efficiently. There’s nothing worse than sitting down and getting all cosy, with warm air circulating around your home, and then feeling a draught. As the cold weather sets in, go around your home and make it as draught-proof as possible. If you don’t have the time or the money to fix big gaps, you can buy cheap foam draught excluders that’ll get you through until you can solve the problem for good. Like your winter wardrobe, now is the time to bring your soft furnishings out of storage. Putting down rugs can help keep the heat in and make your home feel cosy. It’s also much lovelier to step on a rug than a cold floor in bare feet! Don’t forget to get all of your blankets and cushions out, as well. These can keep you warm on the sofa and in bed, so you don’t have to have the heater on so high. Turn your heating down in the bedroom as well and replace your summer sheet with a nice, thick duvet! For the nights that are especially cold, you can add blankets on top of your duvet to keep yourself nice and toasty. Resist switching on that electric blanket! With a duvet and a blanket, your bed will be roasting in no time. Don’t forget your thick socks and pyjamas, too! Of course, you will probably not be able to avoid the extra electricity expenditure, but you can try to save as much energy as possible. As the days are shorter, you’ll inevitably be leaving your lights on for much longer than you did in the summer. This is exactly why it’s a good idea to switch to energy-saving bulbs. This might be a substantial initial cost (especially if you choose to switch all the bulbs in your home), however, in the end, it’ll be worth it. You’ll end up saving way more in electricity bills than it cost you to buy the energy-saving bulbs in the first place. If you’re a romantic, why not use candles? They don’t cost anything in electricity and they’ll give your home a lovely, festive glow. Remember to be careful, though, and blow them out before you leave the house or go to bed. Along the same lines as energy-saving bulbs, why not invest in a new efficient boiler. If yours is old, it certainly won’t be as efficient as anything on the market nowadays. Again, the money you spend on upgrading your boiler, you’ll get back in electricity savings! Lastly, and most simple of all, just turn down the temperature on your heater/AC. By simply lowering the temperature by one or two degrees, you’ll save a lot of money. Instead of having it on at 25 degrees and sitting in a t-shirt, turn it down and put on a jumper or snuggle in a blanket! 4. Don’t waste any heat! This should be your number one rule all winter! Don’t let all that money go down the drain. Keep your windows and doors closed when possible. Don’t stand talking to someone with the front door wide open and the AC on full blast, invite them in and keep the warm air in, too! Moreover, if you’re relaxing in the lounge, close the doors to other rooms in your house. There’s no point in wasting money to heat a room that you’re not using. Similarly, when you’re in bed, close the bedroom door so you aren’t heating the entire house overnight! Also, did you know that ceiling fans actually have two settings? In the summer, you should have you ceiling fan blowing air upwards, keeping it cooler for you. In the winter, however, you should have your ceiling fan blowing air downwards. Hot air rises so don’t leave it all sitting up there by the ceiling! 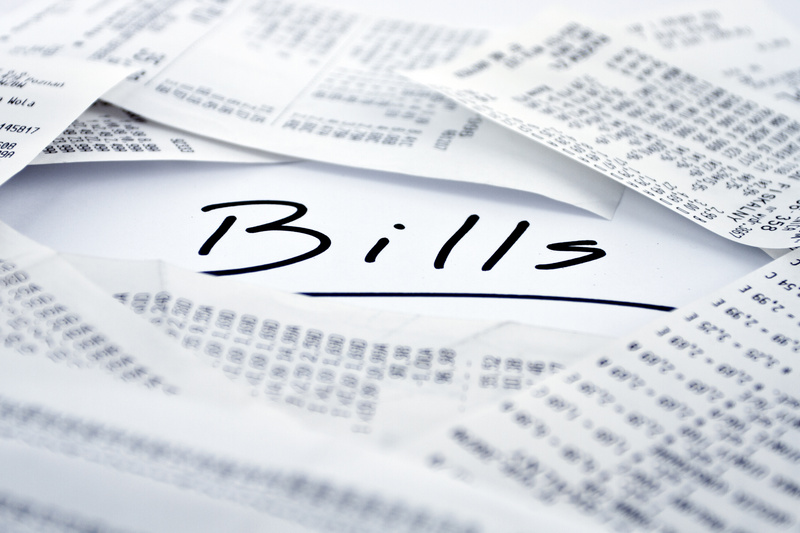 Follow these tips and you’re sure to save yourself some money on your bills this winter. If you are renting your house, flat or apartment in Malta, you can always request that your landlord helps you eliminate any draughts or perhaps upgrades the boiler in preparation for winter. If you’re looking for a more energy efficient place to rent, you can always get in touch with our letting specialists at QuickLets. We’ll get you moved into somewhere nice and cosy before the winter really sets in. We have branches all over Malta and Gozo. Don’t have the time to pop in to one of our offices? You can contact any of our agents over the phone or via e-mail or Facebook.